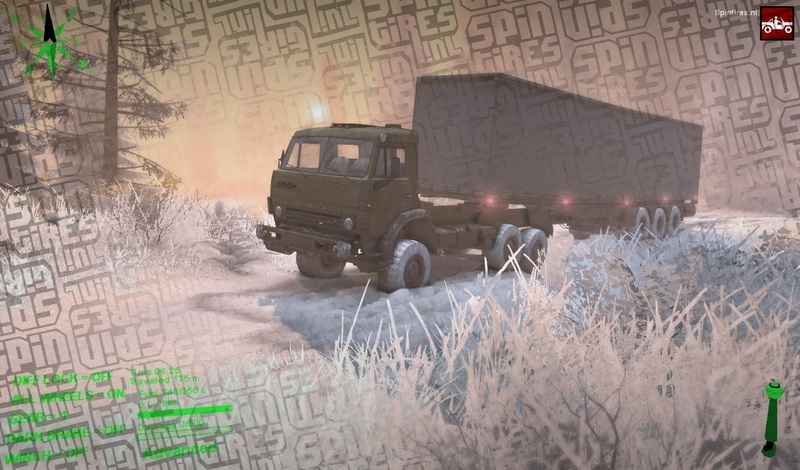 Just in time for the winter comes this tweak from Alexsander which turns Spin Tires into Winter Wonderland. Download the zip. 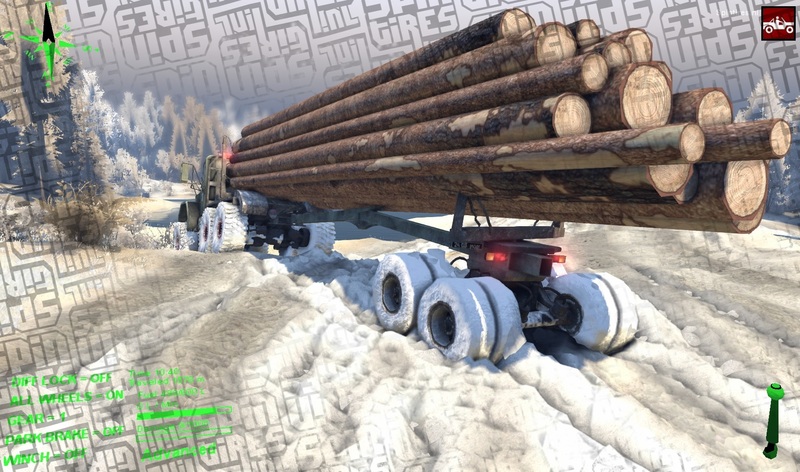 Extract it and copy the Media and TextureCache.zip file into the Spintires folder overwriting what needs to be overwritten. This is a beta version but it is enjoyable at this stage. Further improvements wil be made by Alexsander in due time. Version 1.1 is now available. 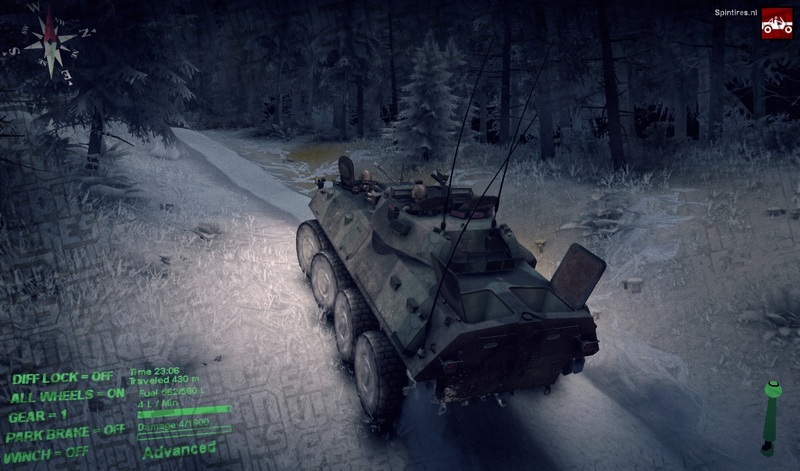 Updated graphics. Probably because i downloaded it, unzipped, and repackaged it with 7zip on a windows machine. That can lead to a bigger zip size. File is ok though, i double check for viruses etc before i post it on my site. i get snow only on some trees and snow only on the muddy ground area but still looks like dirts and idea? Did you clear cache after installing it? yes I did I even installed the whole game just to see if it will help but still the same. I’m all out of ideas then. It worked for me. Better contact the original author. 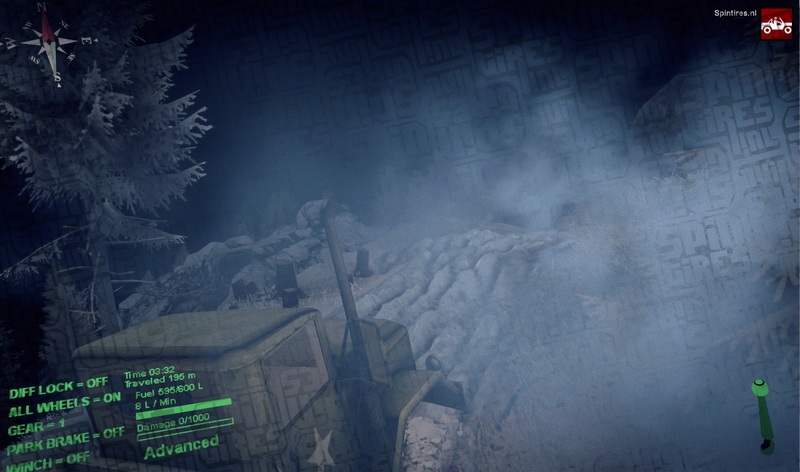 I installed this mod and I didnt backup my files but I thought if on steam I deleted the local content it would get rid of it but it didnt and i have the sounds and stuff and its annoying and when I hit mud white drops fly then turns brown any idea to help me get rid of it? 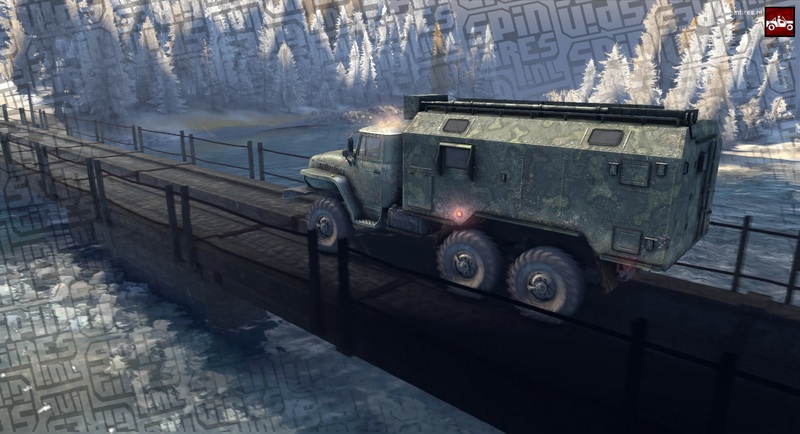 Delete local content en clear the cache folder (go to %appdata% and then delete the SpinTires folder). Then reinstall using the Steam client. HOLA… solo funciona con S.T. 14..?? porque dice ST14…!! No me va a andar..?? Y donde se pone, en que carpeta, el archivo “media.xml”??! No compre el juego, porque acá en Argentina, es muy caro..!!!! Lo descargue de internet, y le puse un parche para que funcione..!! Try English. Can’t read what you posted. HELLO … who published the video for “Winter Times”. You could give me, lend, or give me the original software Spin Tires 2014 ..? From Argentina, the value of the dollar and the Euro, it is very expensive to buy .. !! Since “WE ARE ALL IN THE COMMUNITY AND FAMILY TIRES SPIN” … guess I should not be allowed displeasure that one more person has the free SP14 .. !! Thank you very much .. !!! who can give me the program, original software SP14 .. !!! There is no such thing as a free copy of Spin Tires. 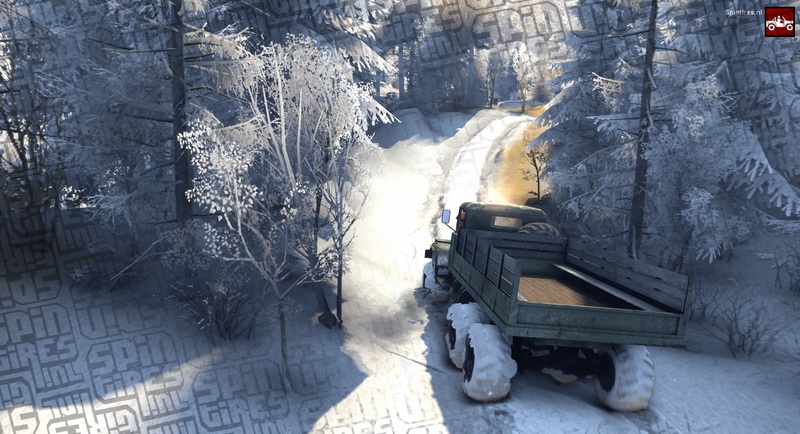 The Winter Season is a tweak of the original files to make it look like winter time. You would stil have to buy the original game through Steam. I love the mod, used for a while now and want to go back to the original textures but i don’t know how to do that… Think u can help me? Using steam delete local content. Clear the cache folder in %appdata%. Then reinstall the game. 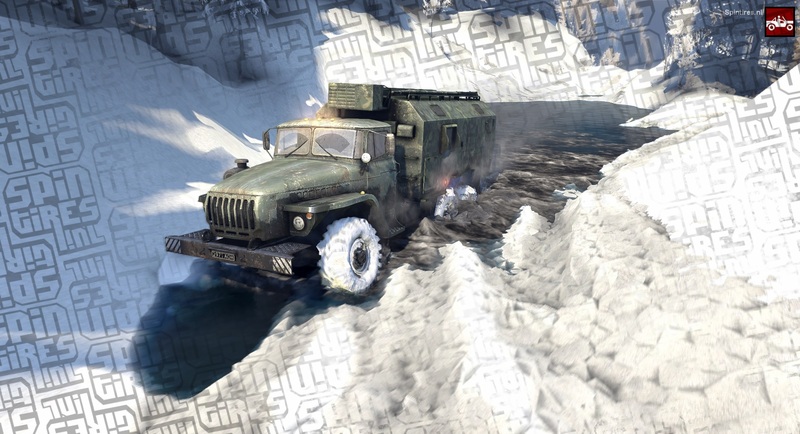 I just tried the download link for the winter mod and it does not work. 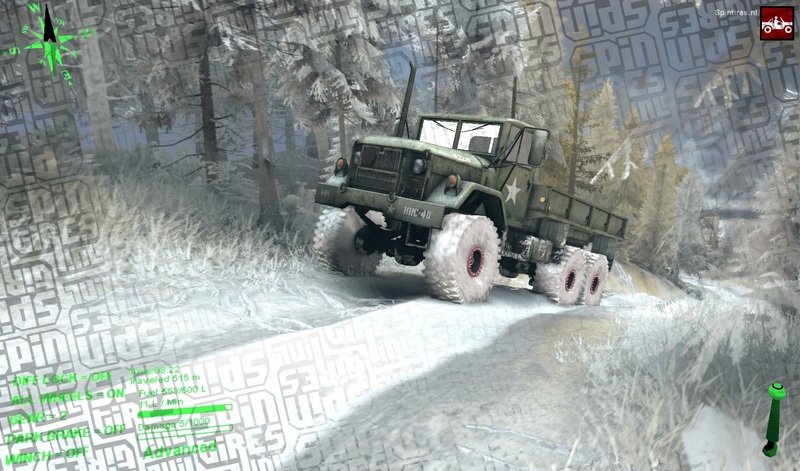 Is it because it doesnt work now with the current SpinTires standard version or are you editing it? 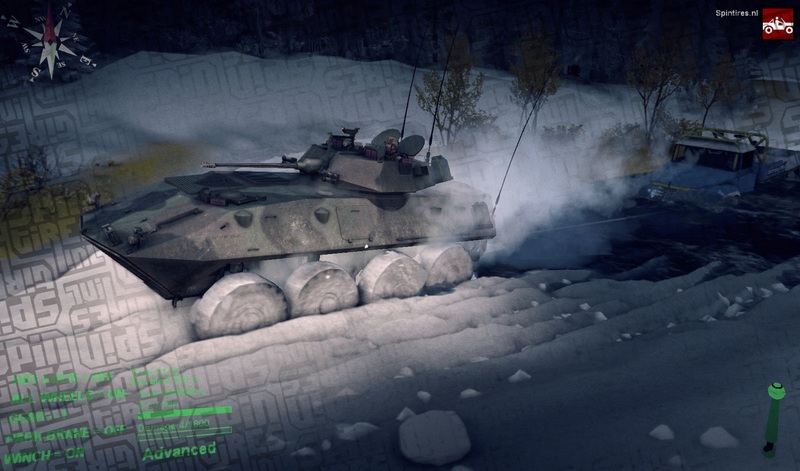 In the past I used the first snow mod and enjoyed it and now since we are more into winter I was going to try out the winter mod. If someone could let me know that would be great. Thanks and keep up the good work. Reuploading the zip. Somehow it got borked. Weird. I’ll look into this ASAP. 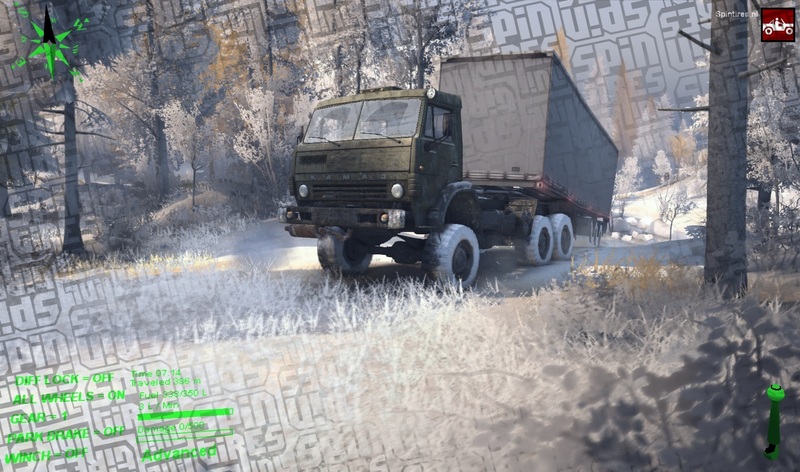 every time i try this mod it just crashes the game, it loads up the menu with the winter background but if i try load a map it just crashes, ive cleared the cache folder does it matter which version of spintires you run it on? Can you fix this for the latest version of the game mabey? Yes i can. And have done so. Download it now. Wheres the new download link? The one above looks like the old one being downloaded 2290 times. Just download the zip.. it has been updated to the latest xml standards etc. Not tested yet! 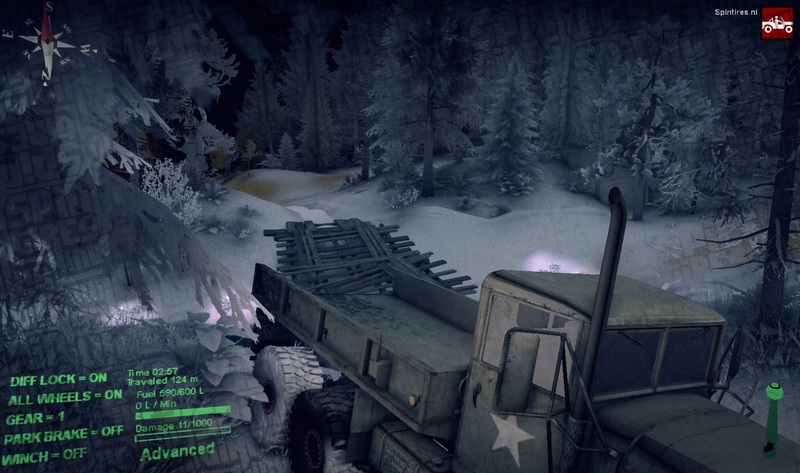 The first snow mod apparantly lags alot causing two crash reports to be generated. 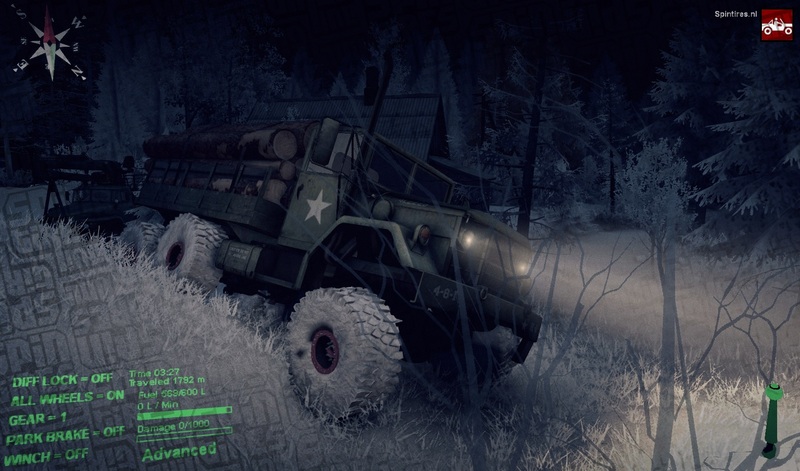 So I’ve decided to try the Winter Season mod. Btw, is there a place to share our experiences at? Updated all packages now. Try first snow again and let me know. Do you mind If I do it, I did it to one dirt texture and had great sucess. 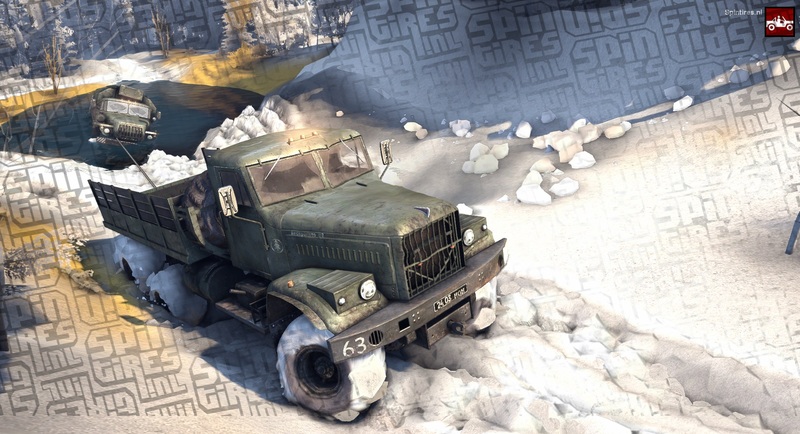 I would just use the existing winter textures, just convert it into the way the game needs to read it. Who should I contact about getting permission to convert it then upload it? I cleared cache, Deleted content and download last versión from Winter season. Always ends with… Oops! 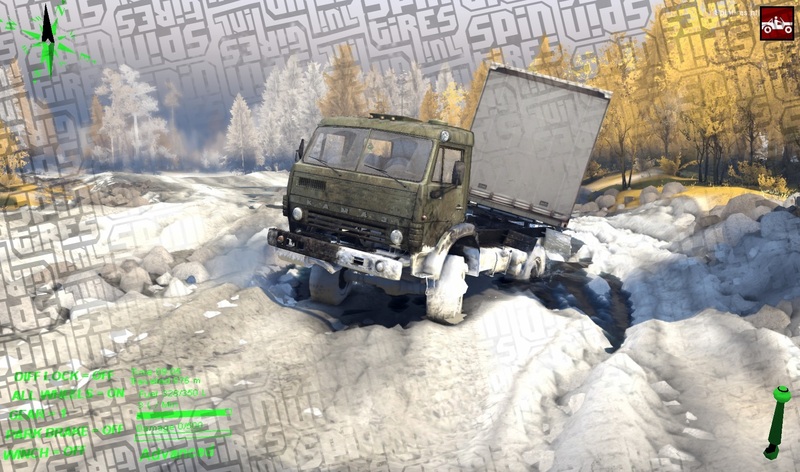 Spintires crashedit does not work!! This is for the legacy version. You ARE using the legacy? Mod doesn’t work and I guess it’s because of updates. Do you have any plans on a new/fixing this one? Same here. I was wondering the same thing. Where can i download it at? I gather you found out it has not been updated.